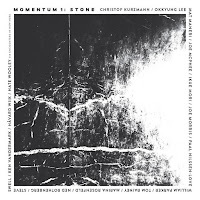 Sylvie Courvoisier, Chris Corsano, Tim Daisy, Christof Kurzmann, Ingrid Laubrock, Okkyung Lee, Mat Maneri, Joe McPhee, Ikue Mori, Joe Morris, Paal Nilssen-Love, William Parker, Tom Rainey, Marina Rosenfeld, Ned Rothenberg, Steve Swell, Havard Wiik, and Nate Wooley. The residency also documented his current working projects: DEK Trio, Side A, Nilssen-Love & Vandermark Duo, Wooley & Vandermark Duo, and Made to Break. 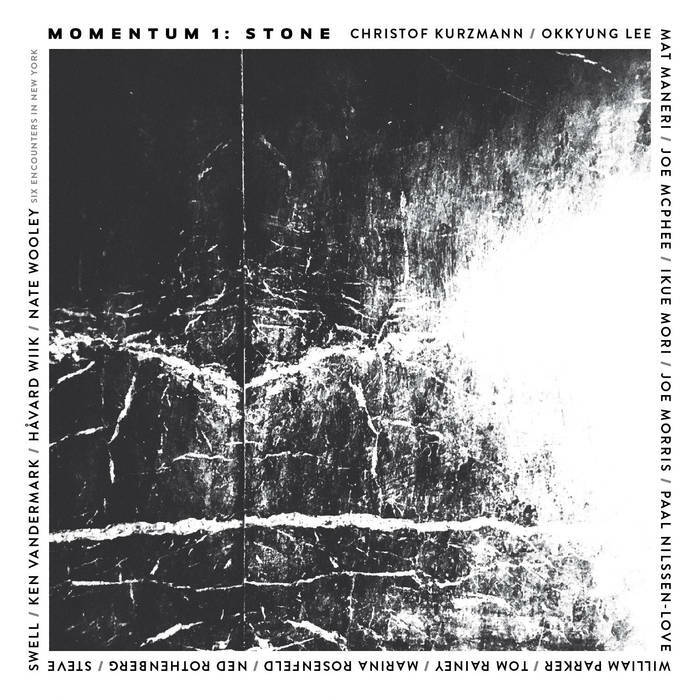 In the end, Vandermark chose to include in Momentum 1: The Stone all of the projects that were so far undocumented. I personally was able to attended on two of the nights not represented here which included the Nate Wooley/Ken Vandermark Duo, DEK, Nilssen-Love & Vandermark Duo, and Made to Break. I call it a blessing - as I am now able to hear what I missed - and a curse - because what I did hear was fantastic! Disc 1: Tuesday, January 5, 2016. 8 pm. Disc 2: Wednesday, January 6, 2016. 8pm. Disc 3: Wednesday, January 6, 2016. 10 pm. Disc 4: Thursday, January 7, 2016. 8pm. Disc 5: Saturday, January 9, 2016, 8 pm. Disc 6: Saturday, January 9, 2016. 10 pm. A true 5-star-album. Vandermark box set releases creep me out. How is someone capable of doing such a lot of excellent music? See also his "Resonance" box, "Nine Ways to Read a Bridge" and the "Extended Duos" with Paal Nilssen-Love.One of the greatest musicians in this genre.